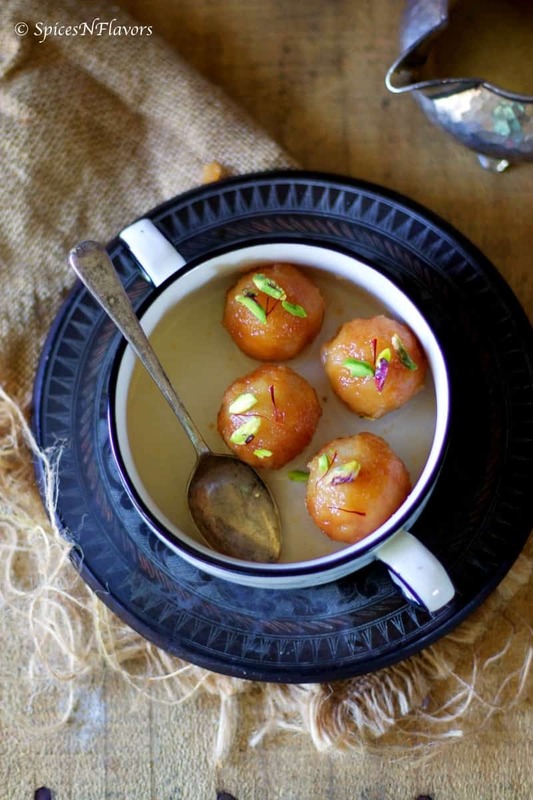 Bread Gulab Jamun is a simpler and easier method of making Gulab Jamuns; a traditional Indian dessert which is otherwise a lengthier process. 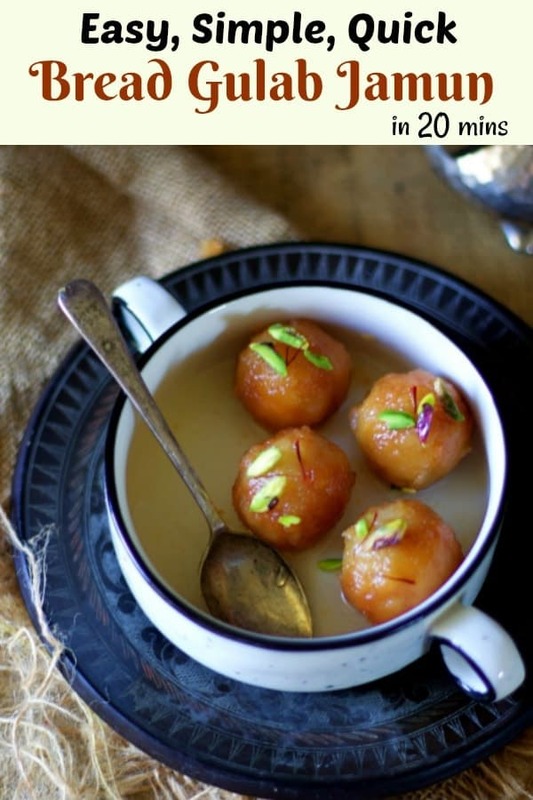 Bread Gulab Jamun is one of those Indian desserts recipes that comes as a saviour when you are craving for something sweet and are in no mood to put some extra effort; especially in such a hot weather.. phew… I get you I get you..
1. Easy to make. No rocket science or difficult steps. 3. Satisfies your instant sweet craving. The Internet is crazy.. Don’t you think.. Someday something is in and the other day its out. And we keep moving with the latest trend right!!! One such trend going on Youtube is trying out makeup tutorials or fashion styles or in my case food recipes by other bloggers, YouTubers etc. Before we proceed with anything else I would like to clear out with you guys that I am not trying to steal or copy someone else’s work but instead, I am using my platform to promote and share fresh content with you guys which is merely just a recreation. 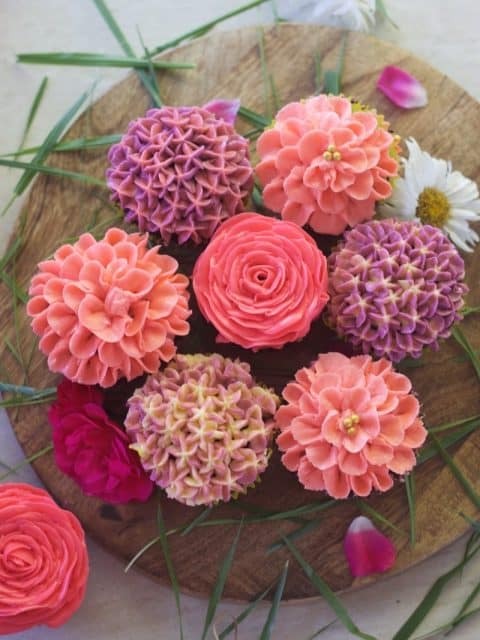 If you are still not following Kabita Kitchen on Youtube definitely check her out for more everyday recipe inspirations. So how did I go with the Bread Gulab Jamun Recipe.. The one thing that I really liked about her recipe is that the timing details that she shares throughout the video. However, since I have a burner that runs on electricity rather than a gas it did not suit my needs. This would be helpful if you are based in India otherwise you will have to go by your judgement. I would also suggest you guys to crumble the bread using a mixer jar; rather than by hands that did make a difference. 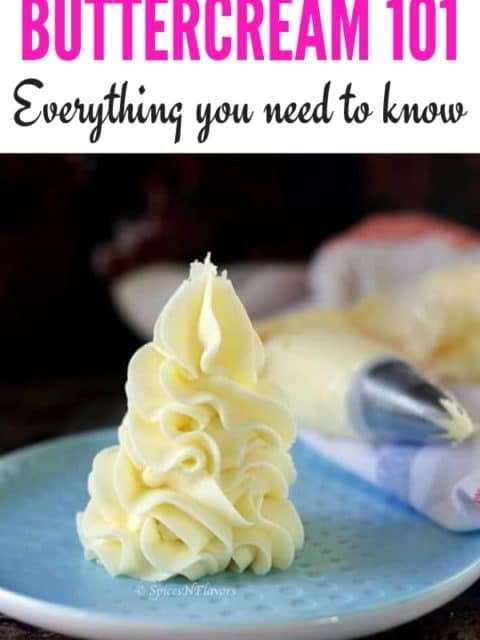 Check out my video recipe down below or on Youtube to know why. 1. 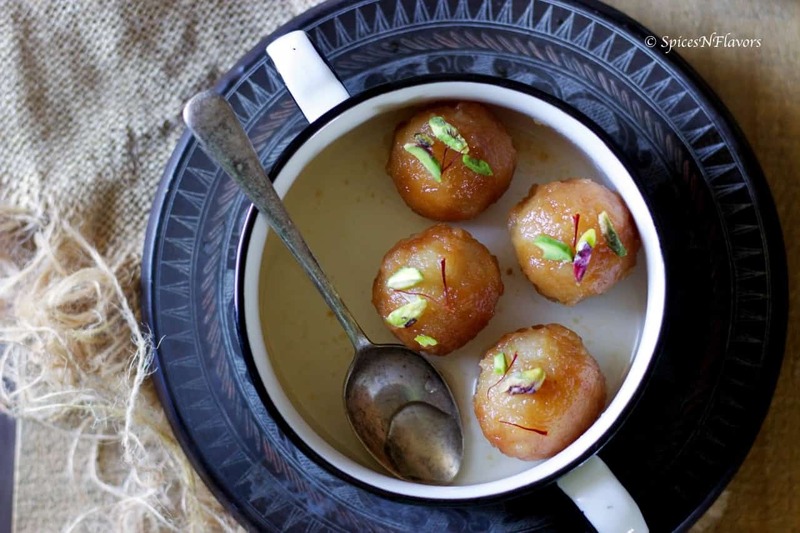 This bread gulab jamun is not as soft as our regular traditional ones. 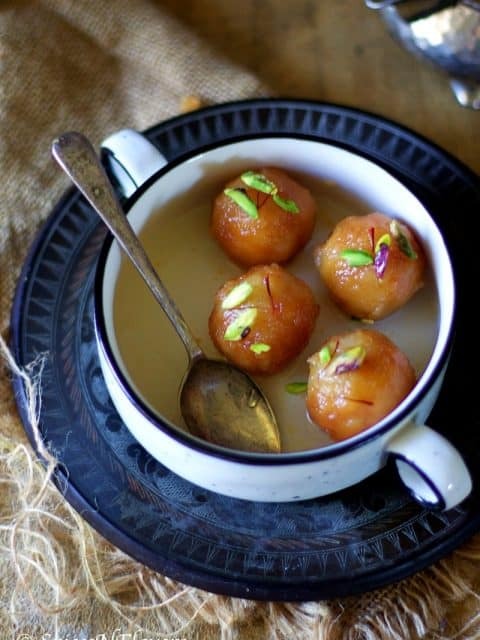 So if you are expecting a melt in your mouth kind of gulab jamuns then sorry to disappoint you guys but this gulab jamun is a little bit harder as compared to those. 2. We are not exactly deep frying the jamuns; as in the whole ball is not fully immersed in hot oil it just sits half way (check out the video for clear understanding). 3. Knead the bread dough really well (nearly around 5 mins) to get a smoother dough. 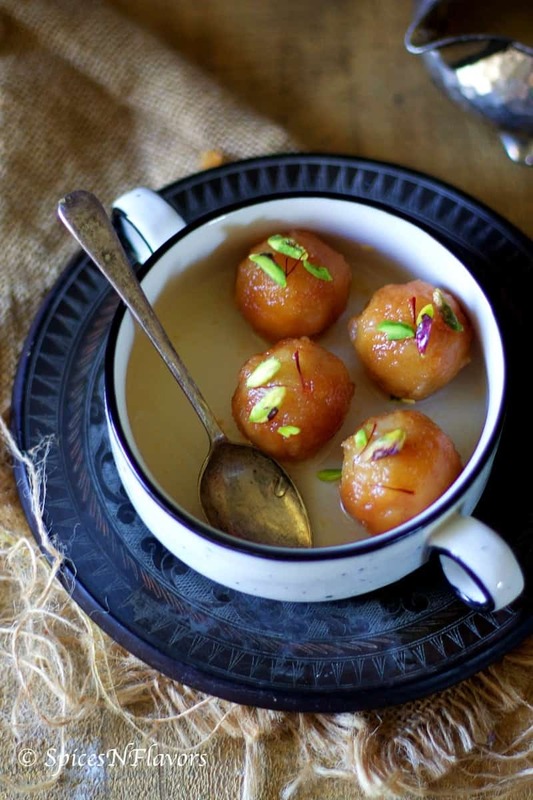 Bread Gulab Jamun is a simpler and easier version of the traditional Gulab Jamun; Indian dessert that can be made in just few mins. Once it comes to a boil, add the cardamom powder and saffron strands if using. Lower the flame and cook this for a further 8-10 mins. Switch off the gas once thickened and cover with a lid. Slice the corners of the bread. (Do not throw it away; you can use it for making bread upma or just make crumbs store in an air-tight container for later use). Blend it into fine crumbs in your mixer jar without adding any water. Now add a tbsp of milk at a time to the bread crumbs and combine everything into a smooth and soft dough. Knead it well say for about 3-4 mins. Pinch out small sized balls out of it and give it a round shape without any cracks with an even smooth surface. I could make about 11 balls from 8 bread slices. Fry them in hot oil over medium flame until golden brown from all sides. 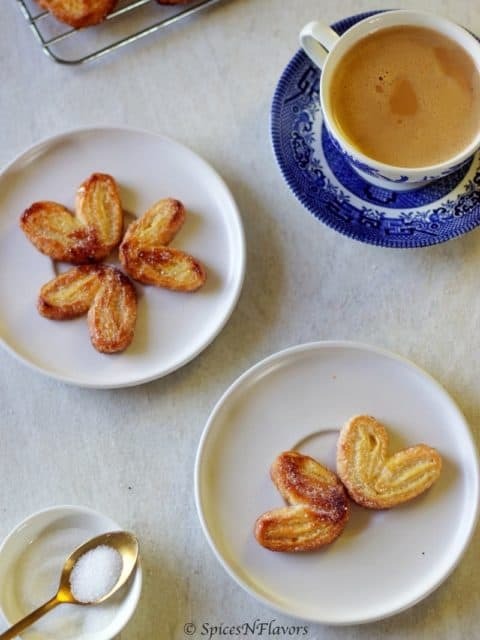 Once fried; dunk them in the prepared sugar syrup for 3-4 hours. Enjoy the gulab jamun cold or hot as per your liking. 1. Knead the bread dough well and roll it into an even surfaced ball shapes to avoid breaking of jamuns in hot oil. 2. Oil should be med hot: not too hot or not too cold. 3. Do go through the pointers that I have discussed above. If you like my today’s recipe then do let me know by tagging me, tweeting me or instagram me. I would love to follow you and your posts.